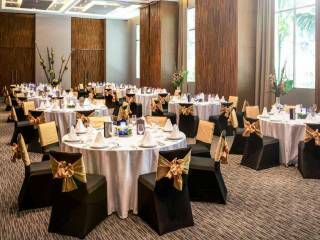 Here at Novotel Phuket Kamala Beach, the events team will work with couples at every stage to help create that special day. The hotel staff is confident that their first class service, delicious food and excellent attention to detail will ensure treasured memories for both the wedding couple and their guests. The hotel wedding planner will be ready to advise, plan and prepare the smallest of details to make everything goes exactly as envisaged.